Watching orangutans deep in the Borneo rainforest, hiking up Rwandan volcanoes in search of mountain gorillas, driving through the mesmerizing high-desert landscape of New Mexico, exploring the sensationally scenic Caucasus Mountains — these were just four of the life-changing experiences that distinguished our unforgettable year of travel. 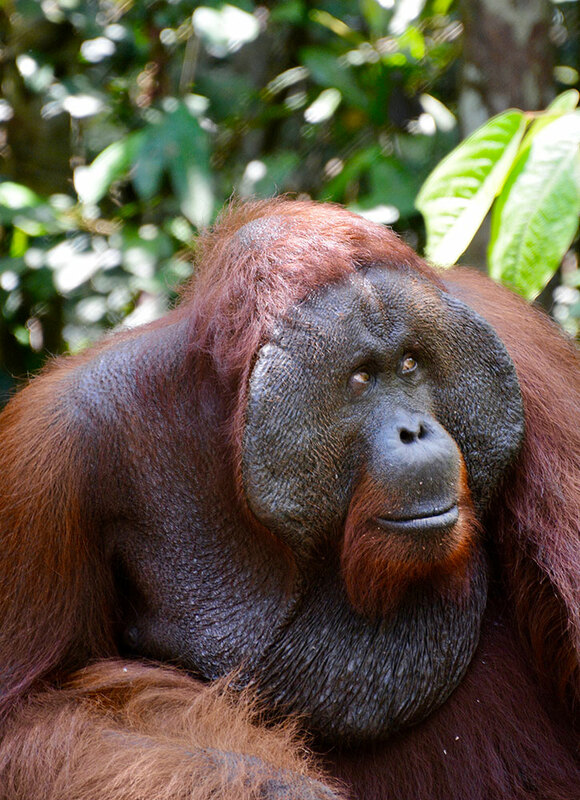 Today there are thought to be approximately 100,000 orangutans left in Borneo, of which around 6,000 live in the 1,200-square-mile Tanjung Puting National Park. To see them, I traveled for five hours aboard a klotok, a rudimentary 40-foot-long wooden riverboat. My destination was Camp Leakey, the research center of Biruté Galdikas, the world’s leading authority on orangutans. Alighting from the boat, my guide and I headed into the forest. A 20-minute walk brought us to a clearing, where a wooden platform had been erected. No orangutans could be seen, but a pile of plantains awaited their arrival. The apes’ approach was first revealed by the sudden swaying of distant treetops, and within five minutes an alpha male and seven females, two with young offspring, had arrived. Fully grown males stand about 4 feet 6 inches tall and weigh up to 220 pounds. 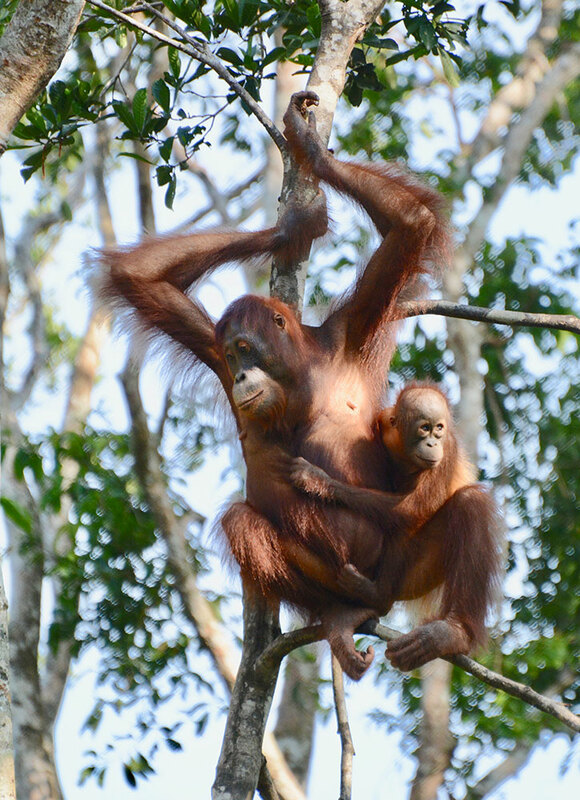 Inevitably, watching orangutans at a feeding station was a somewhat zoolike experience. However, seeing them swing effortlessly through the trees, or climb vertical tree trunks with complete insouciance, was thrilling and unforgettable. The stirring volcanic peaks of the Virunga Mountains rise to nearly 15,000 feet where the borders of Rwanda, Uganda and the Democratic Republic of the Congo converge. 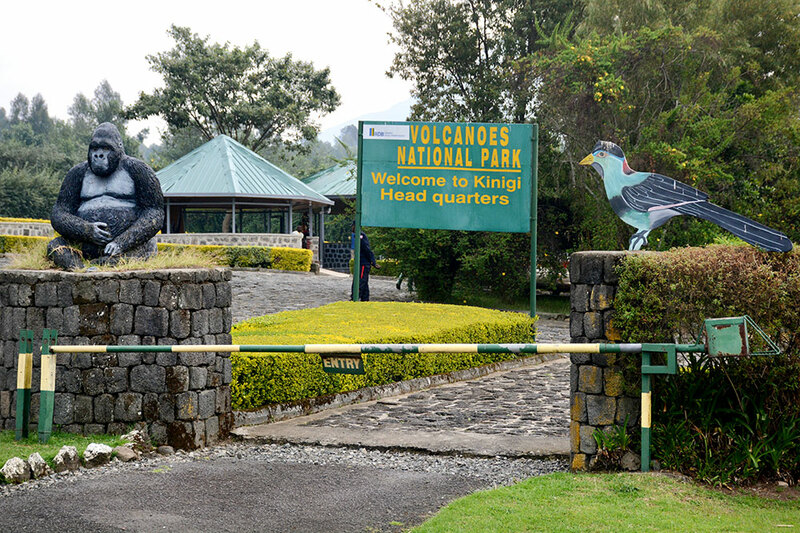 There are 12 groups of habituated mountain gorillas in Rwanda’s Volcanoes National Park. On my recent trip, I was allocated to the 25-strong Agashya group, which lives at an elevation of around 9,000 feet. Having followed rough paths across lush farmland, we came to the edge of the reserve and entered the thick forest. 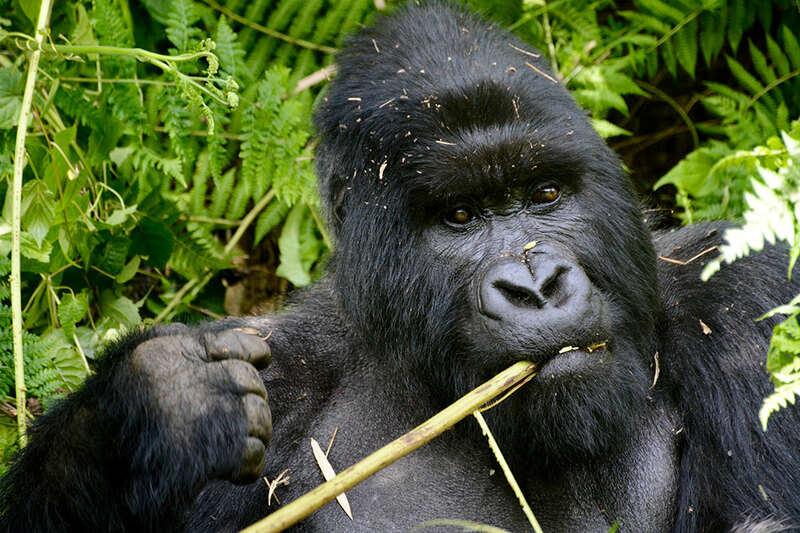 As well as gorillas, the park contains elephant and buffalo — one guide was carrying a rifle just in case of an encounter with the latter — which added a frisson of excitement to our hike. The trail was relatively dry and not particularly steep. And up ahead, the guides cleared inconvenient branches and creepers with their machetes. After about an hour and a half, I suddenly became aware of a complex, musty smell. Leaving the path, we stumbled down the hillside through thigh-high vegetation. As I was chiefly preoccupied with not falling over, I failed to notice the silverback until a guide grabbed me by the arm. The enormous creature was sitting just three or four yards away, contently chewing a stick of wild celery. He appeared to regard my undignified arrival with complete indifference. The other members of the group, by whom I realized I was surrounded, also seemed utterly relaxed. Toddlers tumbled around my feet while their parents looked on indulgently. We stayed in close proximity to the gorillas for the allotted 60 minutes, before reluctantly retracing our steps. Back in sun-drenched fields, beneath a cloudless sky, I was overcome by a feeling of euphoria. 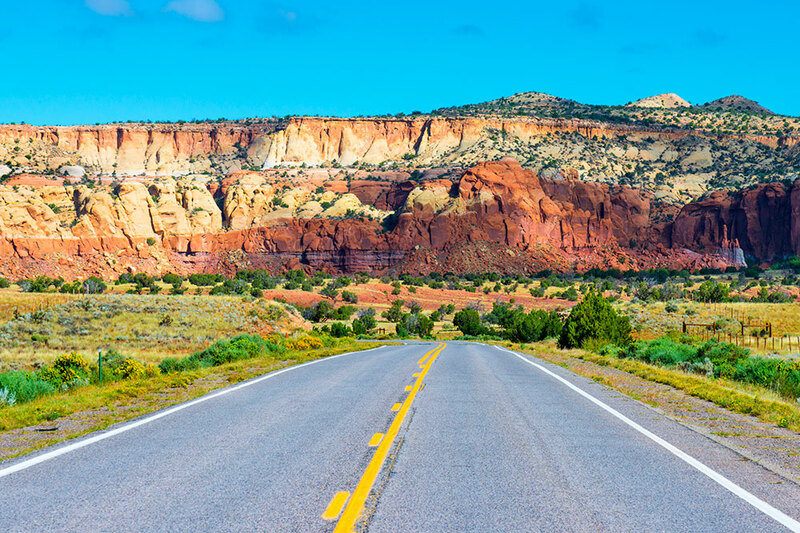 Many visitors to New Mexico spend all of their time in Santa Fe, but a leisurely drive through the mesmerizing landscapes of the high desert is the best way to appreciate the state’s history, as well as its culinary and artistic traditions. Having enjoyed Santa Fe’s museums, restaurants and one-of-a-kind boutiques, we began our tour by journeying north for 200 miles to Vermejo Park Ranch, close to the Colorado border. From there, we headed to the legendary town of Taos, visiting the beautiful Taos Pueblo, as well as museums dedicated to some of the luminaries who once made the town their home. Along our route, we also visited a number of other fascinating pueblos, including the Puye Cliff Dwellings in the Santa Clara Canyon. Later, in our pursuit of traditional woven rugs and apparel, we headed to the small town of Chimayó (a place also known for its peerless chile peppers). Eventually, 12 days after setting out, we found our way back to Santa Fe. In 2018, we followed many memorable itineraries, but perhaps the most unexpectedly pleasurable was a journey through the country of Georgia. 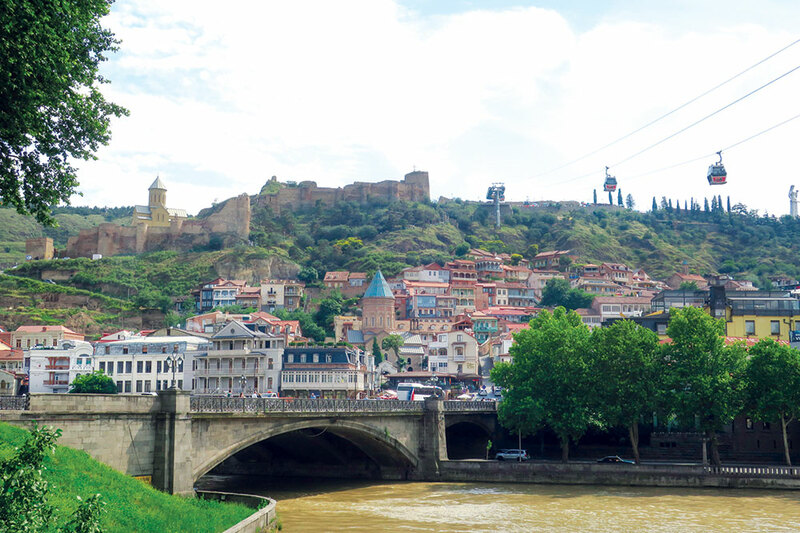 This began in the fascinating capital of Tbilisi, before heading through rolling wine country dotted with ancient monasteries and continuing to the sensationally scenic Caucasus Mountains. These landscapes are all within easy reach of one another by car, and together they make for an ideal introduction to an exhilarating new frontier in travel. In a world that is increasingly homogeneous, Georgia has not yet been polished smooth, a quality I found refreshing and grew to love. 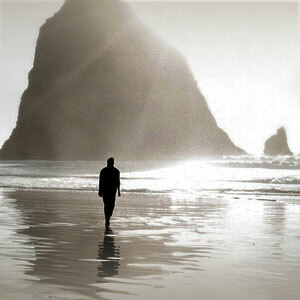 Instinctive and generous hospitality is the norm. I won’t soon forget the magnificent lunchtime feast set out for us by a tiny family winery, after our guide gave them 15 minutes’ notice of our arrival! 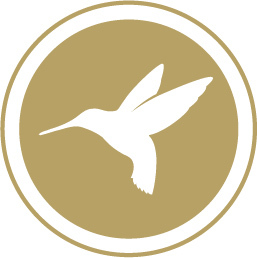 The country is only just now arriving on the luxury map, making it an ideal destination for experienced travelers who revel in a little unpredictability.